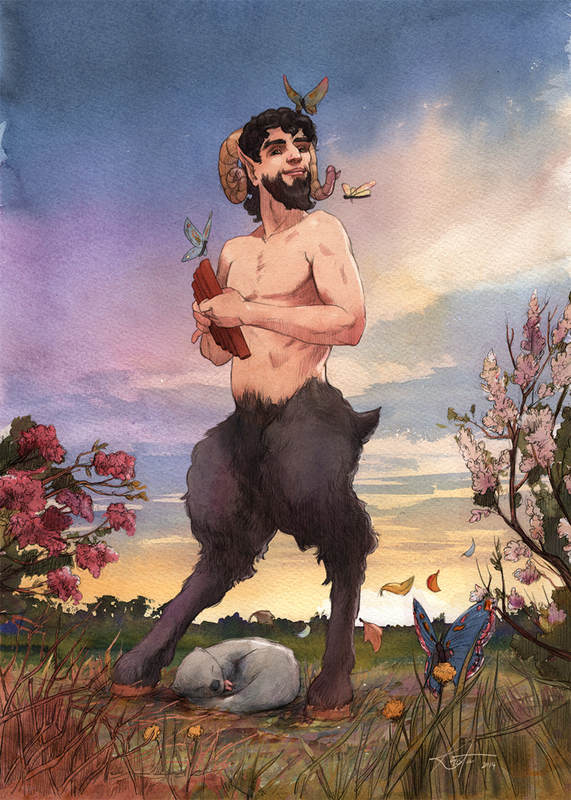 From Steam in the Willows, the gorgeous and magnificent god Pan. The ultimate contrast to the industrial revolution, Pan is the embodiment of all that is beautiful in nature. As the sun rises, Ratty and Mole are struck rigid in awe of him, all at once full of joy and terror.